Industrialization is part and parcel of a modernization process in any country. However, in Soviet Russia the launching of “socialist industrialization” was highly politicized: it was presented by official propaganda as an essential and indispensable step in building the material foundations of socialism. The next important distinction was that Stalin’s industrialization was not based on private enterprise, but was totally state-driven and was ostensibly based on centralized directive planning. Finally, the doctrine of “socialist industrialization” put great emphasis on a massive expansion of heavy industry, particularly the means of production, as a necessary first step on the way to the technological restructuring of the entire economy. Only after a massive surge in heavy industrial capacity had been achieved would it be possible to embark on a more balanced economic strategy, including the development of consumer-oriented light industry. As a result of a whole number of factors, the Soviet industrialization would be confined, for the most part, to the one-sided priority development of heavy industry. Another peculiarity of Stalin’s industrialization was that the country’s international isolation meant that the USSR could not rely on foreign credits and external assistance to finance its ambitious industrial expansion. The financial resources for the construction of new industrial plants had to be found within the country and were to come from a number of domestic sources. First, the revenues from light industry and, in particular, from agriculture were to be used to finance the expansion of the industrial branches of the economy. Second, hard currency earnings from the state monopoly on foreign trade, including the export of grain, timber, gold, furs, and other goods, were to be used to buy state-of-the-art equipment for the newly constructed industrial enterprises. Third, the surviving Nepmen were to be subjected to heavy taxes. The crippling taxation of private enterprise together with the mounting administrative pressure would stifle private initiative in both industry and commerce by 1933. Additional savings were to be gained by reducing the output of consumer goods and by restricting food consumption of both the urban and rural populations. This was to be achieved by raising retail prices, using goods rationing, and similar measures. Capital was forcibly squeezed out of the reluctant population, mainly the peasantry, through an arbitrary price system. 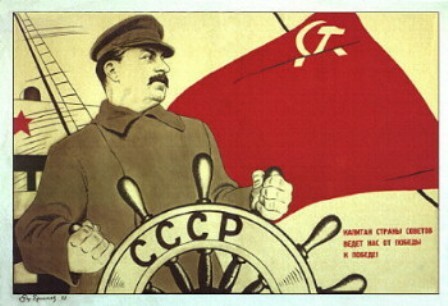 By the exercise of ruthless dictatorial power, Stalin succeeded in diverting a huge percentage of the national income to industrial investment and defense purposes. As a result, living standards of blue- and white-collar workers plummeted two- or threefold. Consumer goods production all but ceased, and every available resource was pressed into the program of rapid industrial expansion in capital-intensive heavy industry, such as steel, coal, and machinery.